If believers have been given authority, then when, how, and toward what should it be exercised? Don't assume the answer; discover the true battleground and learn how to recognize the real enemy. Most people believe God created our enemy, Satan, but did He? 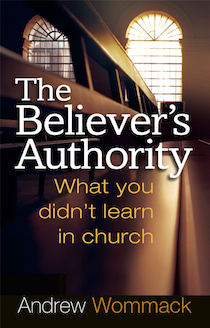 Understanding the answer will set you free to exercise your authority as a believer. Is spiritual warfare, as taught in many churches today, valid? Can believers use their authority to fight the devil and his demons in the air, or is the real battle in the mind? The answer is an important prerequisite to winning spiritual battles. Digging into the scriptures, Andrew reveals the spiritual significance of your choices, words, and actions and how they affect your ability to stand against the attacks of Satan and to receive God's best. Discover the powerful truths behind true spiritual authority and begin seeing real results.